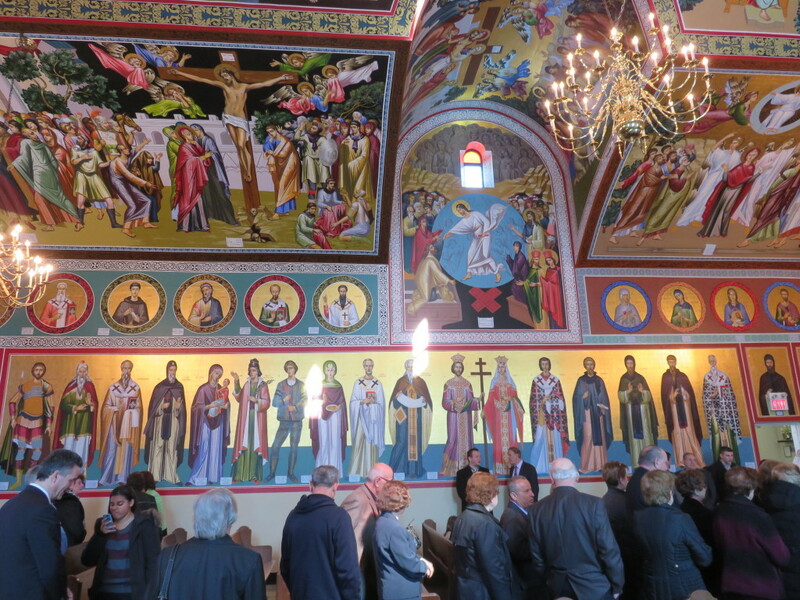 After the short trip to Arizona and California, we are back in Markham, Ontario visiting yet another Orthodox Church. This time in our own neighbourhood. 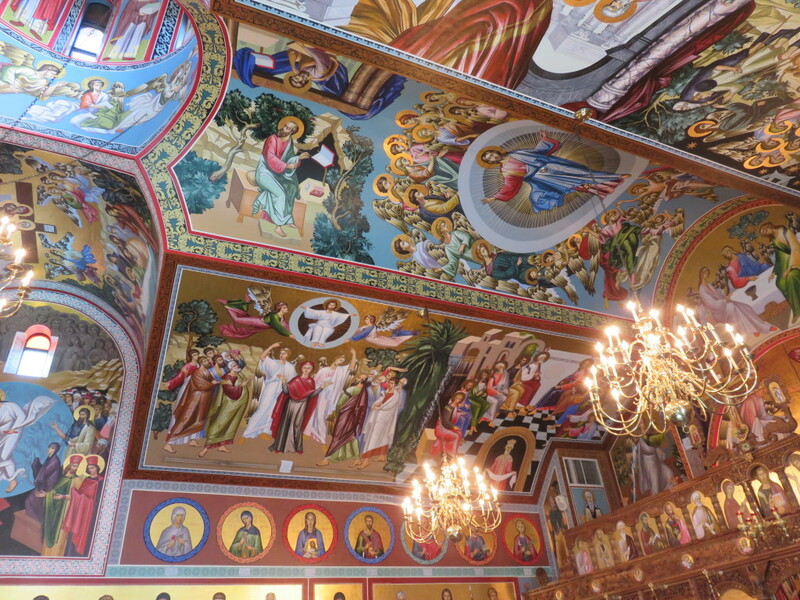 A Sistine Chapel in Markham?!?! I would like to share with you some information that I found in the Toronto Star from March 26, 2016. The title of the article is Heart and Soul Captured in Art. 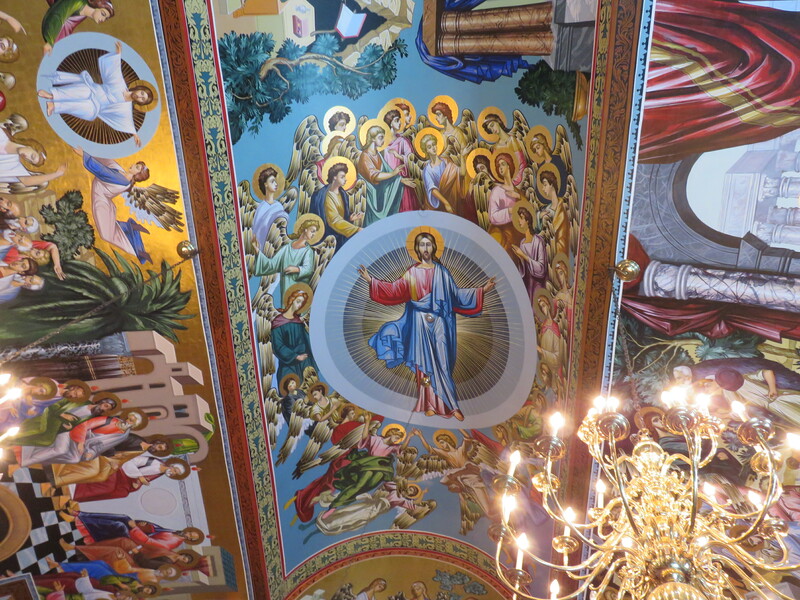 A little over five years ago, world-renowned Macedonian painter Georgi Danevski completed what may be the largest mural in North America, at an Orthodox church in Markham. Georgi Danevski was born in 1947 in Macedonia. 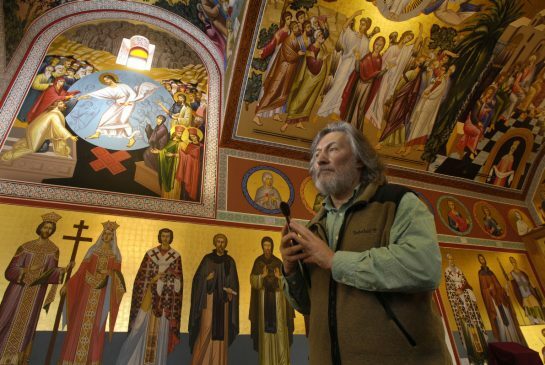 He came to Toronto nearly 20 years ago to paint a fresco mural for St. Clement of Ohrid Macedonian Orthodox Cathedral, in Toronto (76 Overlea Blvd.) 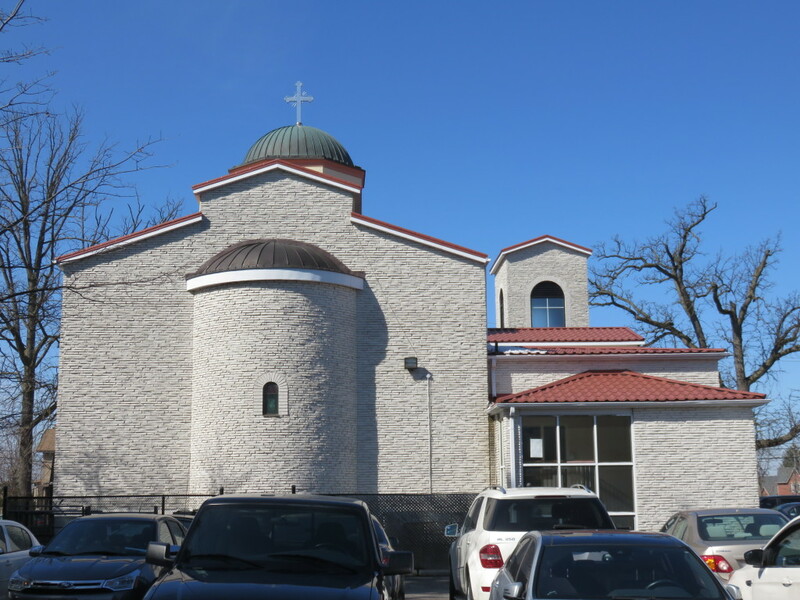 St. Clement is the first Macedonian church in North America. 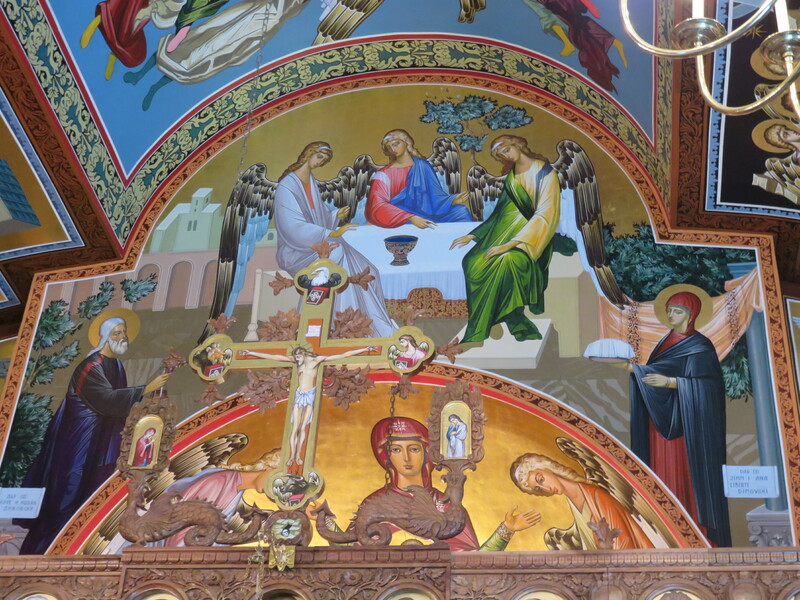 Danevski stayed and hasn’t stopped painting. 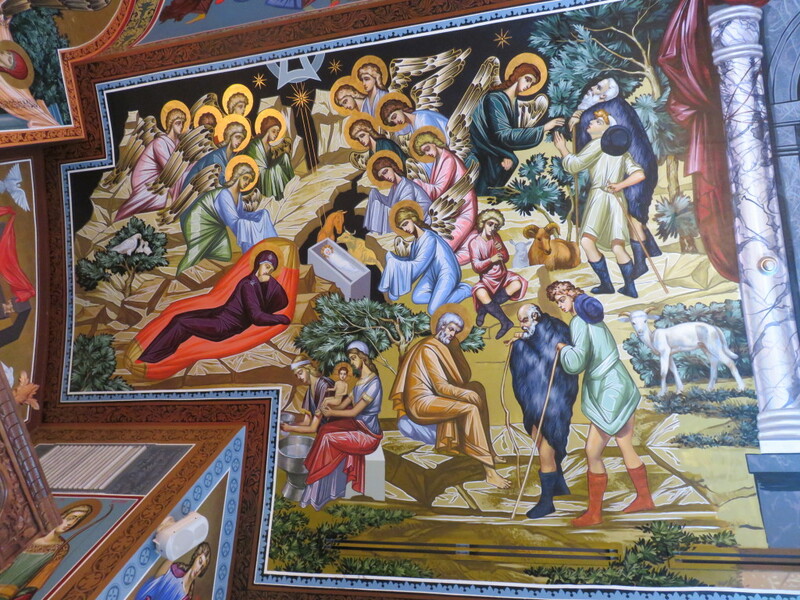 Soon after he started to paint the mural at the St. Dimitrija Solunski Macedonian Orthodox Church in Markham. In 2010, he completed the mural which could be the largest in North America. 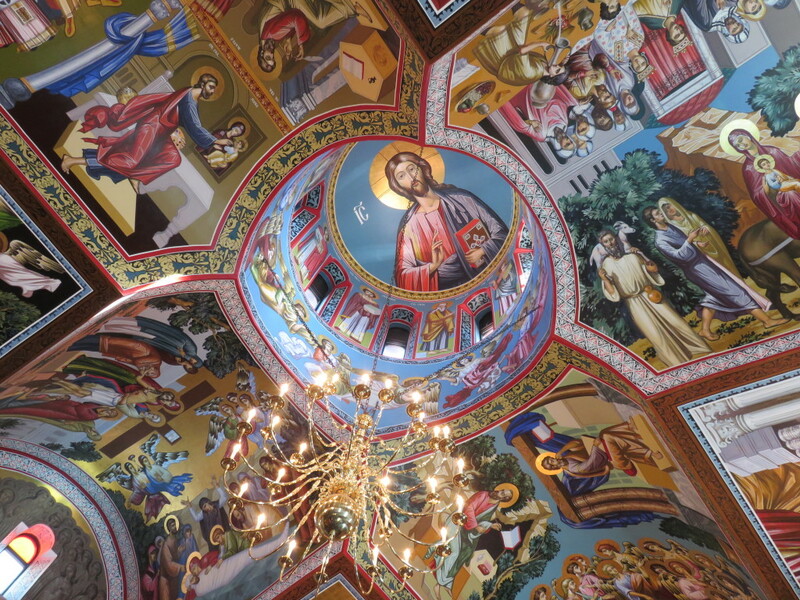 It sprawls 600 square metres and is a vibrant array of 1000 Christian icons. 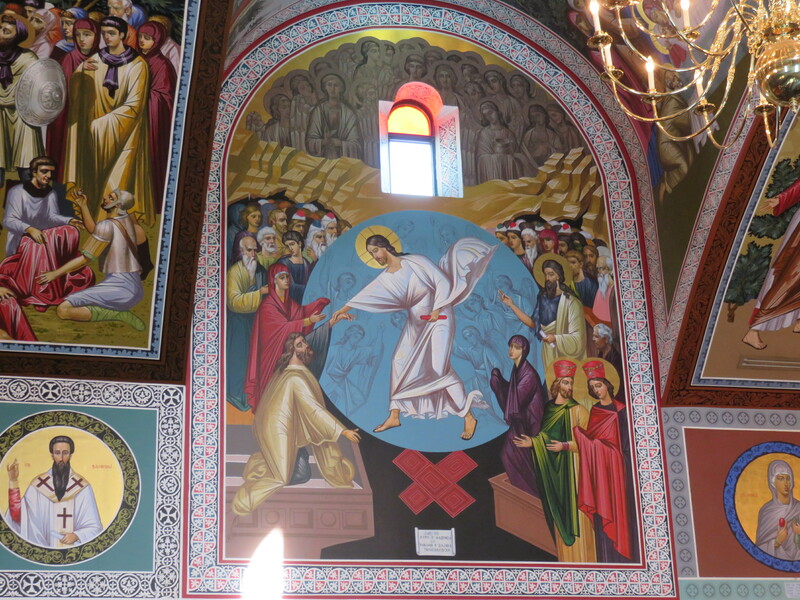 Danevski will visit this church on Orthodox Easter Sunday also known as Pascha. This year it will be on May 1. Wow. 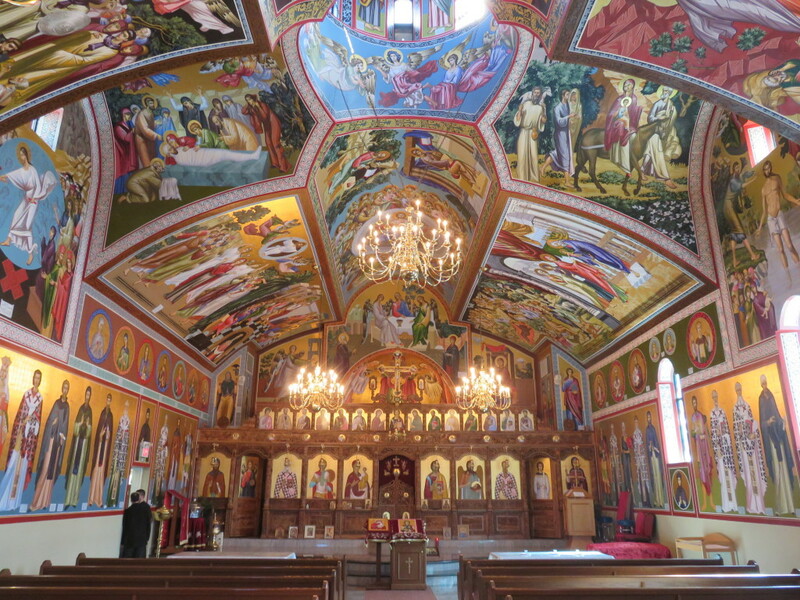 There are times we don’t have to travel far and wide to see such beautiful mural — one that reminds me of an equally beautiful mural and paintings in an Orthodox Chruch we visited in Israel. Thanks for sharing. Thank you Miner for your comment. 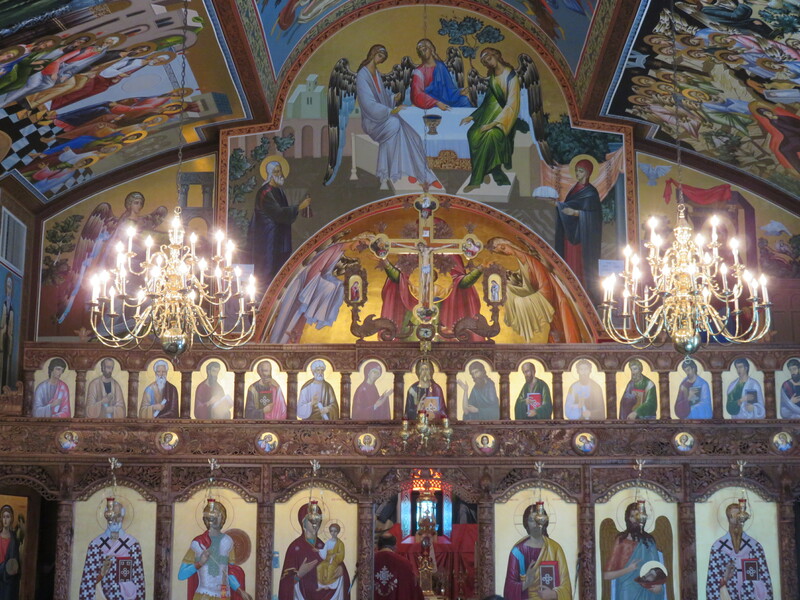 There is so much we can learn from the Orthodox Church. 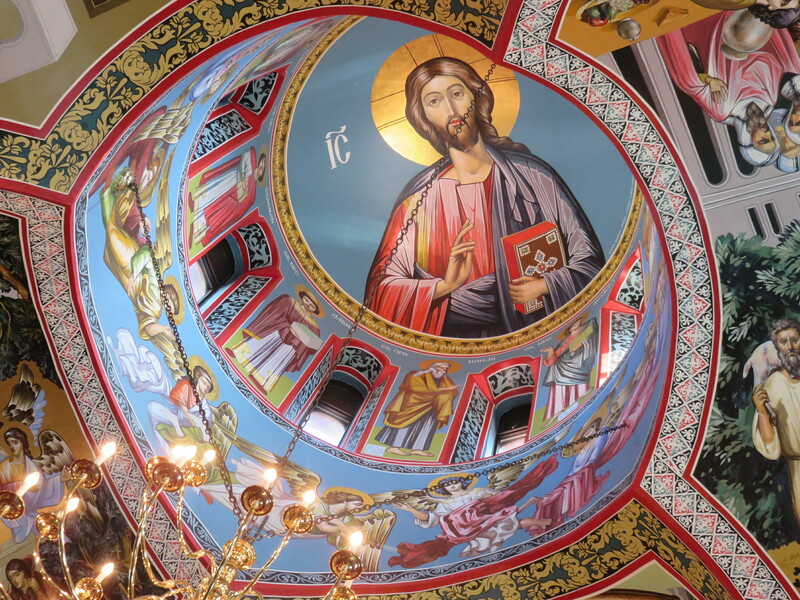 The Orthodox Church in Israel is one of the reasons I decided to study iconography and to learn more about the Orthodox theology. Here in Toronto we have lots of them and they are amazing. Thank you for visiting my blog! Beautiful photo spread of Georgi Danevski’s work! Much appreciated! 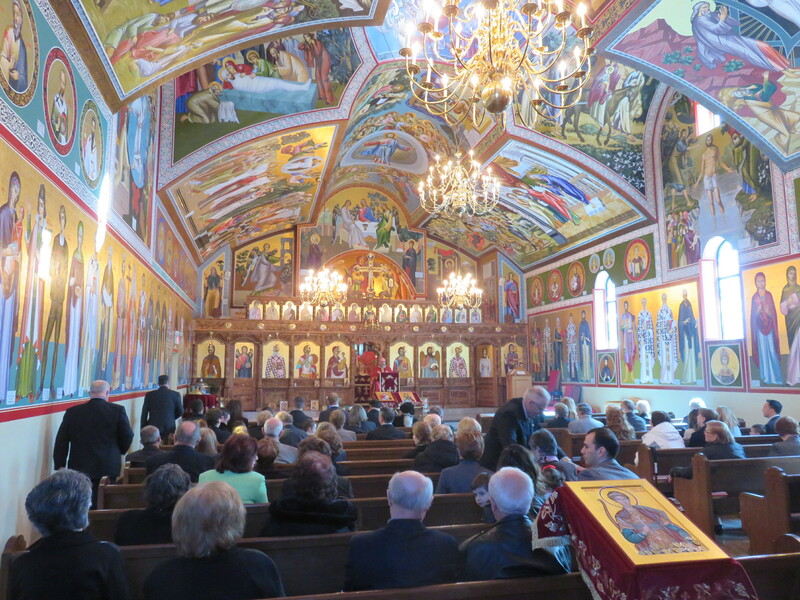 Have you visited St. Clements Macedonian Orthodox near Don Mills in Toronto…the first church Georgi painted in Canada? So glad I dropped by…so enjoying your international folio of beauty. Thank you for your comment Shelley. I am planning to visit St. Clements church. I am glad you are visiting my blog. Thank you again for your beautiful work in the world. It is a true celebration of Life! 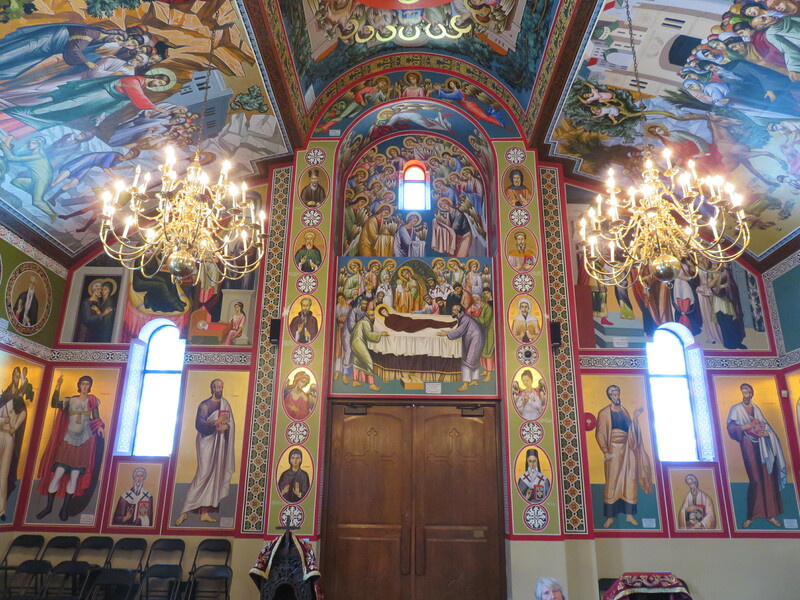 I showed the pictures of the Macedonian Church on Main Street To Tom. He could not believe that this simple little church that we have passed so many, many times, hides this incredible beauty inside. We have been to a barbeque in the back–not sure what the occasion was, but this is amazing. Your presentations at our church have been so interesting. Thank you so much. Thank you Pam for your comment. Next time I will also talk more about the author of these paintings.